"WARNING!" starts with an ominous guitar and keyboard groove and culminating in some awesome moments. I like how the background vocals both bend to and complete the melody. The pre-chorus gives you the appropriate amount of buildup to a pretty epic chorus. I love this tune. 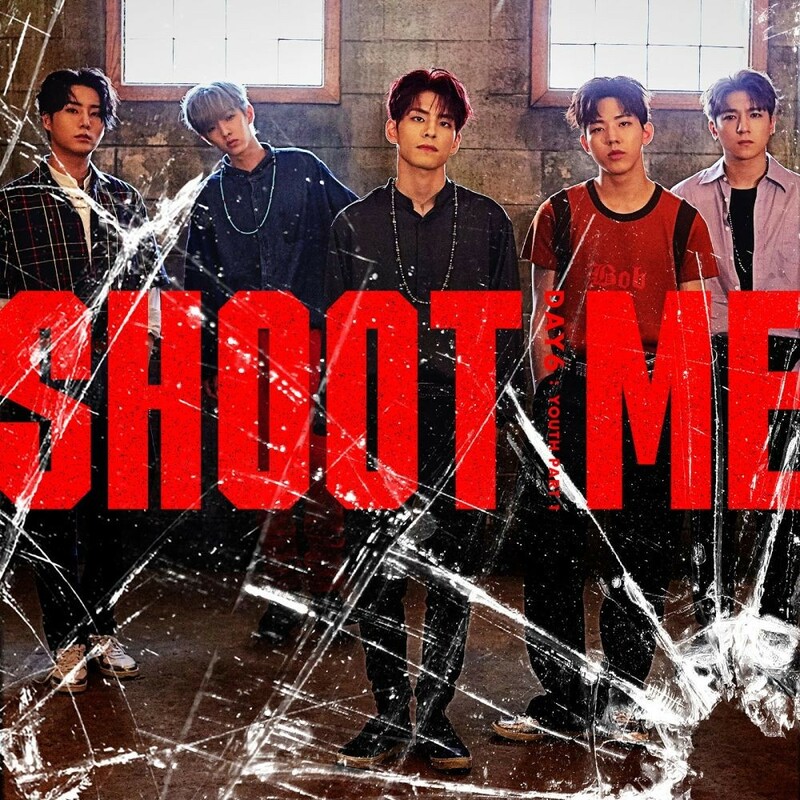 The title track "Shoot Me" starts out a bit calmer, though I like the guitar work in this song. And they lose none of the energy and earnestness we heard in "WARNING!" They don't miss a beat here, and it's overall a great jam.� "Somehow" is slow and steady, with this background guitar that becomes more prominent as the song progresses. The chorus doesn't quite have the same energy as the other songs we've heard so far, but it totally fits the rest of the tune like a glove. This is a bop, and definitely one for the playlist. The disco-inspired "Feeling Good" is a dance track, and it makes no apologies for it. It's actually really well put together with a string section and a marching beat. If you had to switch up genres slightly, this is a good track to do it with. It's just catchy as all hell, and a feel-good tune. "Talking To" gets back more to the mainstream band they are, though it has a more filled out melody than what they usually crank out. 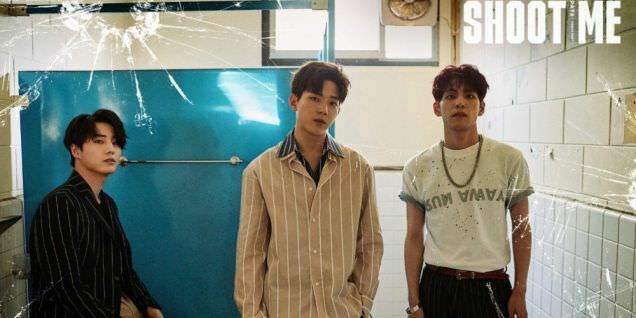 "Still" is the power-ballad on the EP, and it really shows what they're capable, going from moments of quiet contemplation to achy I-want-you-back style vocals. It's not my favorite song, but it's not a bad tune either. 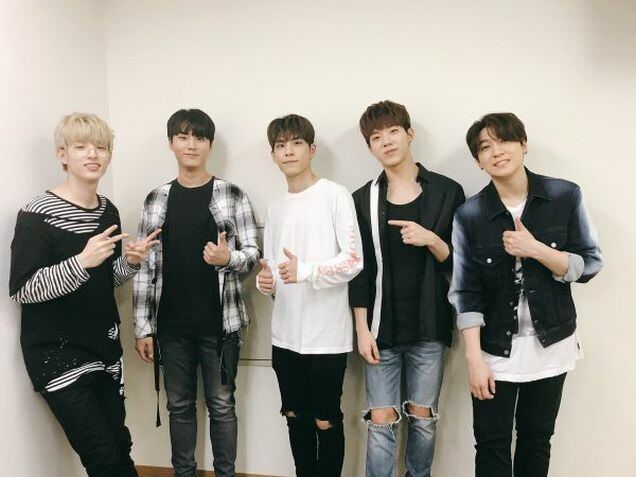 In the past, I wasn't impressed with DAY6's middle-of-the-road approach. I find that particular subgenre lacking in both emotion and creativity. With 'Shoot Me,' they've elevated themselves above that old and tired groove and exploded into a more hard rock mode. The emotions expressed here are more raw and genuine, and you can really feel the difference. Can I recommend this? Yes, I can. It stands head and shoulders above their usual fare. To go along with their crunchier sound, there's a more exciting MV. Rather than focus on the search for love, this one is rather surreal, taking the title literally. The camera focuses on the most dynamic poses to capture the band members in. 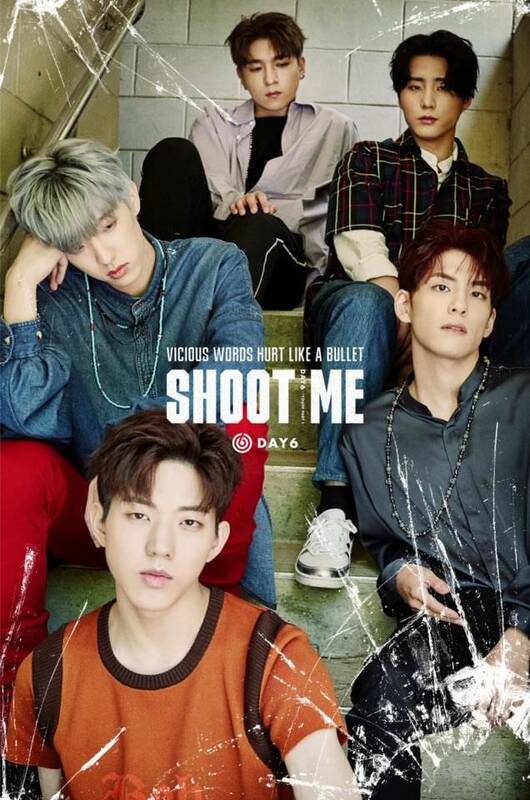 Meanwhile, a woman is firing shots with just her finger, bringing new meaning to the phrase "giving someone the finger," and causing damage while Jae is horrified and hurt. By the end...well, I won't spoil it for you. I have to say that this is probably the best one they've done. While the romance subplot was interesting, this amps things up to a whole new level. We have some weirdness with shots being fired without a firearm, and the slow-mo shots of the band were intense. I'm guessing with new material comes new ways of filming the band playing.